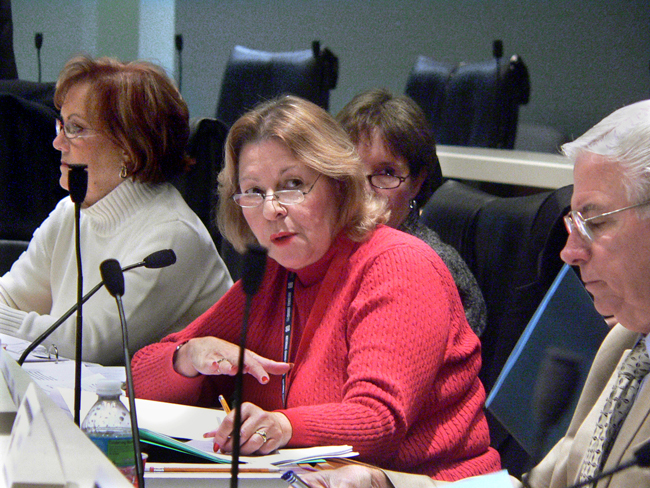 Senate Finance and Tax Chairwoman Dorothy Hukill, R-Port Orange, has filed a bill to reduce sales taxes on commercial rental property, one of the ideas that businesspeople pitched during Gov. Rick Scott’s recent tour to build support for cutting $500 million in taxes and fees. Hukill’s proposal (SB 176), filed Wednesday, would cut a rental tax that generates about $113 million a month. The bill would reduce the tax from 6 percent to 5 percent, while the push from business leaders continues to be to eliminate the tax. Hukill estimated her proposal could cut $250 million a year from state revenue. She expects the proposal to have more success than a similar effort she backed during the 2013 session to eliminate the tax over six years, as the new legislation offers the potential for a more gradual phase-out and because of Scott’s push to cut additional taxes during the 2014 session. Much of the attention from Scott’s five-city tax-cutting tour last week has been on a proposal (SB 156) by Sen. Joe Negron, R-Stuart, to roll back vehicle-registration fees that were increased in 2009. Negron’s proposal could reduce the registration fees by about $230 million. Rep. Mike Hill, R-Pensacola, filed the House version (HB 61) of Negron’s bill this week. A poster displayed at stops along Scott’s tour listed other potential taxes to cut, including the sales tax on commercial leases. Scott also heard business leaders from Palm Beach, Hillsborough and other counties express concerns about the tax on commercial leases. Tampa Bay Partnership CEO Stuart Rogel told Scott during the tour that the commercial rental tax puts Florida at “a competitive disadvantage” to other states. Kelly Smallridge, president of Palm Beach County’s Business Development Board, said Thursday she’d support Hukill’s proposal, but would still prefer the complete elimination of the tax. If Hukill’s bill advances, she said she expects lawmakers will seek to offset the drop in rental-tax revenue as the session proceeds. Rep. Greg Steube, R-Sarasota, has filed a similar proposal (HB 11) about commercial rents, but that measure would cut the tax by 1 percent a year until it is repealed in 2020. Hukill’s 2013 session proposal (SB 656) mirrored the approach of Steube’s current proposal. Her bill failed to attract a hearing in the Senate, with the same fatal outcome resulting for the 2013 House companion (HB 629). “I think if we reduce it somewhat, and start moving to elimination, but do it incrementally, it’s not a great hit on the budget, and yet it’s good policy, and we still help business,” Hukill said. Monthly, the tax generates more than $20 million out of Miami-Dade, $10 million in Palm Beach County, $5 million in Duval County, $8 million in Hillsborough County, and $1 million in Okaloosa County, according to Department of Revenue numbers. Cut my taxes too Dotty.